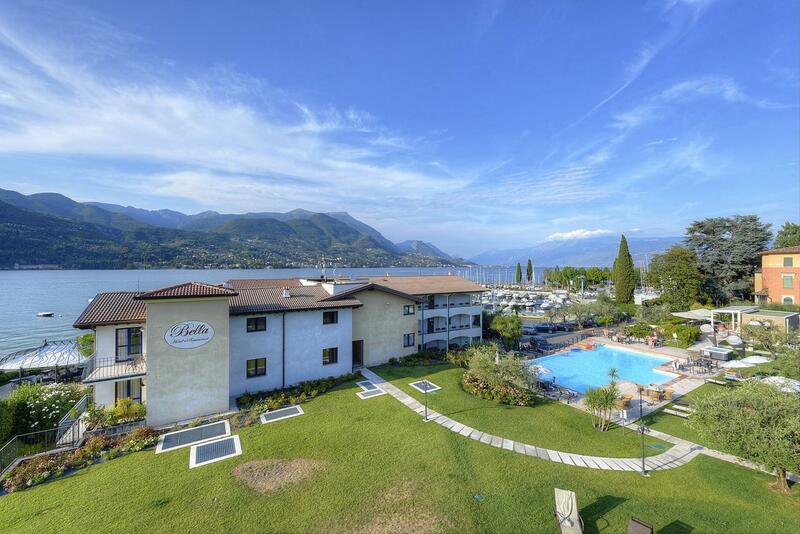 Situato proprio sulle sponde del Lago di Garda, Bella Hotel boasts a free spa and swimming pool. It offers free parking, free WiFi throughout, and 24-hour reception service. Rooms are air conditioned, most feature a lake-view balcony. They come with a flat-screen TV, safe and minibar. On-site facilities include a snack bar and restaurant. Entertainment activities, billiard tables and an outdoor terrace are also available. The hotel is in San Felice del Benaco, 3 km from Salò and a 20-minute drive from the Vittoriale degli Italiani estate.